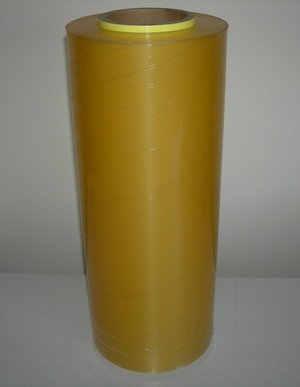 Manufacture in France, this quality European PVC film is an ideal product for caters, food manufacturers, kitchens and household use. 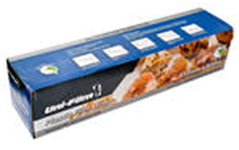 Each Box comes with a slide cutter, high quality graphics and bar-code to enhance point of sale. 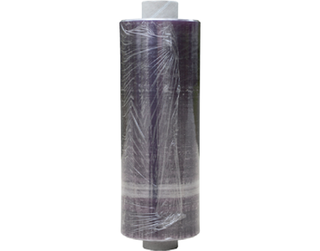 Manufactured in France, this quality European PVC film is an ideal product for caters, food manufacturers, kitchens and household use. 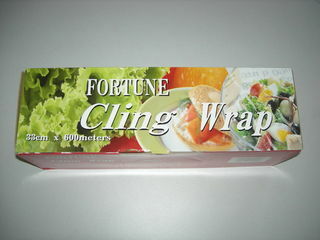 Food grade PVC microwavable food wrap has been a leader for over 10 years. 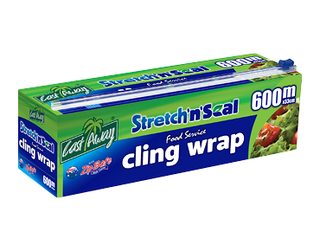 Each dispenser box of plastic food wrap comes with a revolutionary slide cutting system making cutting the food wrap to the desired size width a breeze. 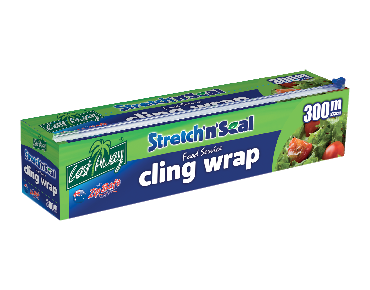 With extremely long rolls of food wrap up to 1200 metres long, this food wrap is perfect for businesses in the food and catering industry. 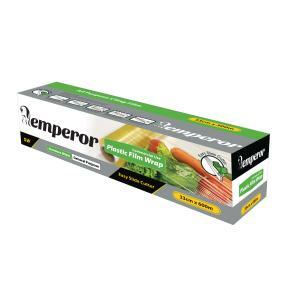 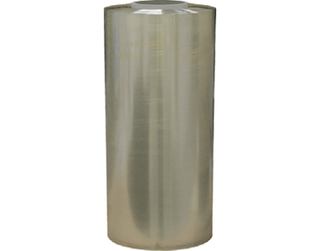 Food wrap is also available in a variety of sizes perfect for different food wrapping needs. 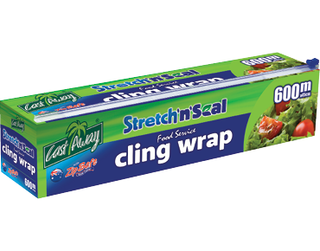 The wider food wrap is perfect for covering platters and wide containers where the smaller width option will not cover it.